When it comes to auto repair services in Minnetonka, nobody beats Firestone Complete Auto Care. Schedule an appointment for quality car or truck repair today! Looking for one of the best Minnetonka auto repair shops? You'll find it at Firestone Complete Auto Care near you. Your car needs preventative maintenance and timely fixes in order to keep you safe while driving. Plus, catching small problems early on can help prevent big ones down the road, which can save you time and trouble. Some signs are pretty obvious, like warning lights on your dashboard or drips in the driveway. Other times it can be can be tough to know that your vehicle needs an important auto repair. Although, there's one thing any every driver knows: when something just feels wrong! Thankfully, you can rely on the professional technicians at your neighborhood Firestone Complete Auto Care to help keep your entire car running as it should. Come to your nearest shop for auto and truck repair in Minnetonka and we'll first conduct a courtesy check. Qualified technicians will analyze your steering and suspension, hoses, belts, fluid levels, brakes, tires, and more, all to get to the bottom of your car trouble. The best car repair can't happen without the right expertise! After technicians inspect your car or truck, we'll talk you through your car's health and explain any repair services that may need to be done. With over 90 years of car care experience under our belts, we know what it takes to get your vehicle performing its best. From spark plug replacement to brake service, transmission to tire repair, our professional technicians do it all. We're Minnetonka's auto repair shop! Quality service, satisfied customers, and affordable prices. It's what we believe! That means we'll never recommend a repair that isn't necessary and we'll always do our best to fix your vehicle right the first time. And that’s a guarantee, backed by our Triple Promise – a promise that every job will be Fixed Right, Priced Right and Done Right on Time. You can count on it! So whether you've got unusual sounds, strange smells, or your car just feels like it's losing its power, make an appointment online at your closest Firestone Complete Auto Care for free advice and reliable auto repair in Minnetonka. When your car goes farther, so do you! 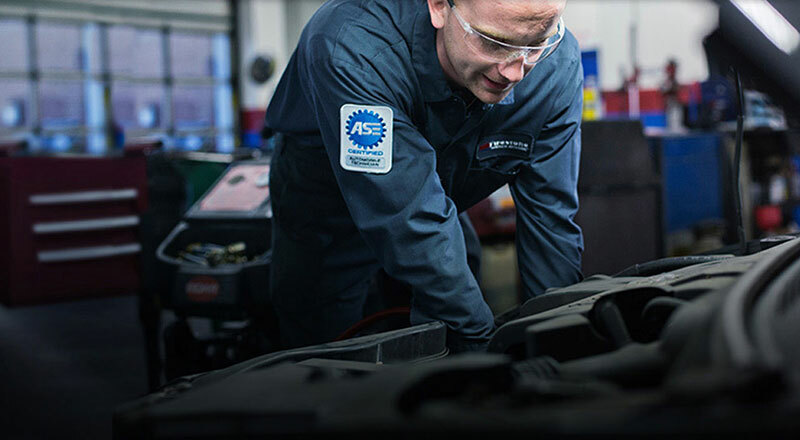 From state inspections to alignments to brake repair, rely on your nearby Firestone Complete Auto Care for your car or truck maintenance and repairs. We're an automotive shop, tire store, and car care center wrapped into one. Our professional technicians care about keeping your vehicle running newer, longer. Bring your truck or car to us for maintenance and we promise affordable prices and exceptional service. Explore our services and at your convenience, schedule your next courtesy check or repair in Minnetonka, Minnesota today.